Duncan and Todd Ophthalmic Opticians have recently won the title of contact lens practitioner at the 2017 Optician Awards. The award ceremony took place in Birmingham on Saturday 1st of April. Competing against other industry professionals two members of staff from Duncan and Todd were shortlisted for the prestigious industry awards. Chosen by an expert panel of judges Jacqui Hay, mobile contact lens fitter, and Mandy Barker, Optometrist at the Westhill practice, were finalists in the category with Jacqui claiming the eventual prize on the night. The panel of judges were looking for someone with a real drive to get all their patients enjoying the benefits of contact lenses. The award isn’t about qualifications, specialist fitting skills or even the length of experience but about the ability to educate, enthuse and engage clients, of all ages and types in contact lens wear. All qualities that were recognised in both Duncan and Todd finalists. 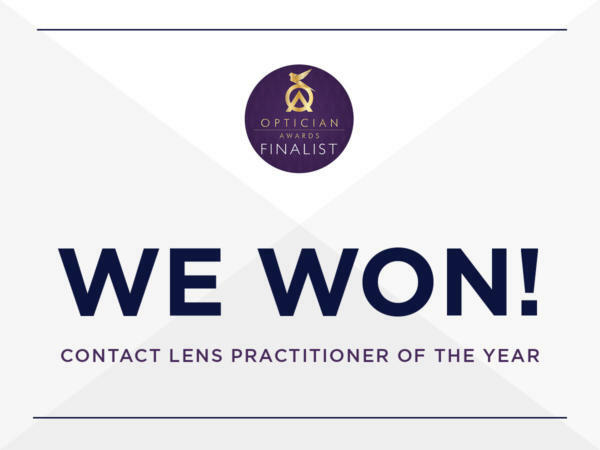 Winning an Optician Award is one of the highest accolades that can be achieved by optical professionals, practices and companies and everyone from the Duncan and Todd Group are incredibly proud of both our finalist’s achievements.